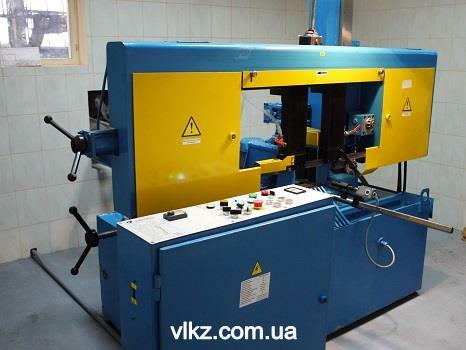 To date, Private Joint Stock Company Vishnіvskyi Lyvarno-kovalskyi zavod is the enterprise, which steps up production in a sustained way, attracts new customers, and tries to create optimum conditions for cooperation for our permanent and regular customers. In addition, we cultivate new markets of raw materials in order to manufacture quality products. There are following enterprises in the group of our regular customers: «Artem» Holding Company, ZhMZ «Vizar» State-Owned Enterprise, «Festo-Proizvodstvo» State-Owned Enterprise, «Krasilovskiy Agregatnyi Zavod» State-Owned Enterprise, «Artemsvarka» Public Joint-Stock Company, «Zavod «Euroformat» Limited Liability Company, Zavod «Artemmash» Public Joint-Stock Company. To this list of our partners the following enterprises are included as well: «Kryukovskiy Vagonoremontniy Zavod» State-Owned Enterprise, Luganskiy Zavod «Polimer» Limited Liability Company, «Kievskiy Metropoliten» Municipal Enterprise, and «Luganskiy Elektromashinostroitelniy Zavod» Limited Liability Company. Range of production possibilities of the enterprise makes it possible to manufacture various customized castings, forging blanks, and stamped blanks, which are intended for use in machine-building and railcar-building industries, as well as for production of special-purpose machinery, invalid’s wheel chairs, and elevators. Much prominence is given to the enterprise’s employees (106 persons) in order to ensure well-coordinated work of the enterprise and development of labor productivity. The Plant allocates funds on a permanent basis for leisure and health improvement, material incentives and bonus payments, training and professional development. Work with young employees and attraction of qualified specialists, as well as development of own specialists — this is the way to further prosperity of the Plant. That is exactly how we think. The following equipment is used in the process of production: gas and electric furnaces, arc-welding machines, compressed-air plants, air-aspirating units, pressure die-casting machines, foundry and molding machines, band cutoff machines, rotoblast barrels, turning lathes, presses, overhead leveling cranes, and forging hammers. This equipment is modernized and renewed on a permanent basis, and this makes it possible for us to improve production process and execute purposes. We have already done a lot of work, but there many new tasks in our plans for the next years.